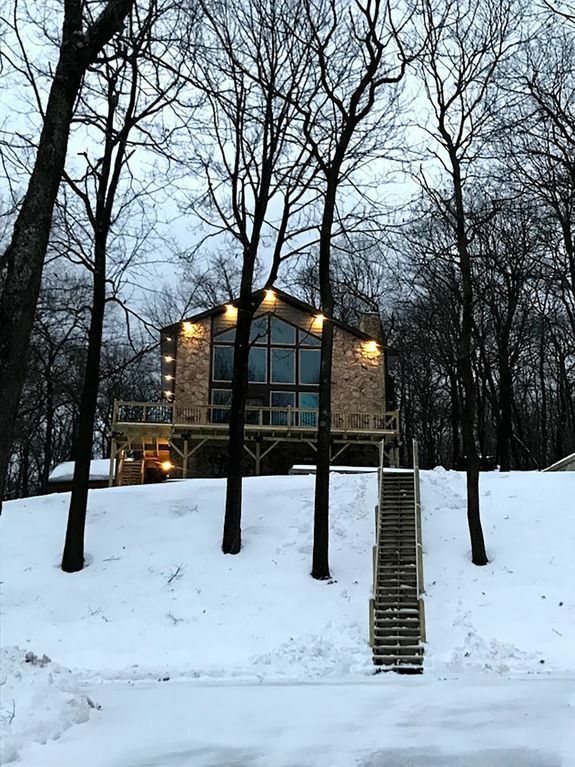 The Snowed Inn is a family-friendly vacation chalet that gives you quick access to the slopes, while still giving you that backcountry feel. We have a notable ski in/ski out location, and we take pride in making sure you enjoy a clean vacation home. Snowed Inn provides AIR CONDITIONING for our summer guests! Snowed Inn has undergone some serious renovations, this means everything has been updated and newly furnished. Our family has enjoyed Blue Knobs amenities for several years. We are very familiar with the mountain, and aware of everything Blue Knob has to offer. We want our guests to enjoy the resort comfortably in our renovated modern chalet. Our chalet provides guests with all the necessary amenities and is positioned in a unique ski-in-ski-out location. Also, this chalet has AIR CONDITIONING for our summer renters! All bathrooms have fresh towels and washcloths. Very clean, orderly, very well stocked!! Beautiful location!! Angela was so sweet and accommodating of our group’s needs!! We even stayed an extra night! The goodie basket was so thoughtful! It was stocked with everything we could need!! We will be back!! We went here for my husband's 30th birthday weekend with a group of friends and had the best time. The house was beautifully decorated, well stocked with kitchen essentials, and even came with a welcome basket of locally produced goodies/snacks! It was well situated on the mountain for ski in/ski out and had a good amount of room to park. The driveway was a bit icy due to recent snow/freezing rain, but even some of the smaller cars we brought (like a Toyota Corolla) managed to make it up! Can't recommend this place enough! Great house and great amenities! We had four families with six kids stay over MLK weekend and had a great time. The house has everything, is bright and cheerful, and Angela left us a welcome goody basket. The chap sticks were much appreciated! It snowed about a foot overnight and they plowed the driveway before we were even out of bed! The kids had a blast in their own bunk room and private apartment. We couldn’t have asked for a nicer weekend! Lovely house with all the amenities you could need for a great getaway!